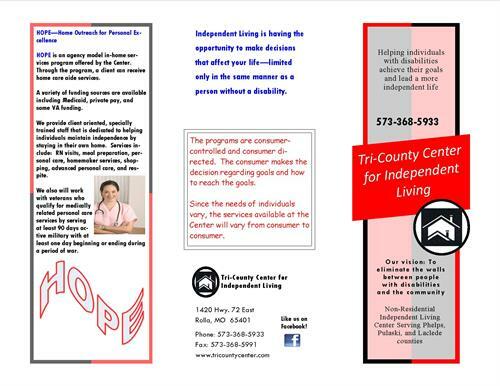 Tri-County Center for Independent Living is a not-for-profit organization designed to assist persons with disabilities achieve and maintain as much independence as they wish in the setting of their choice. 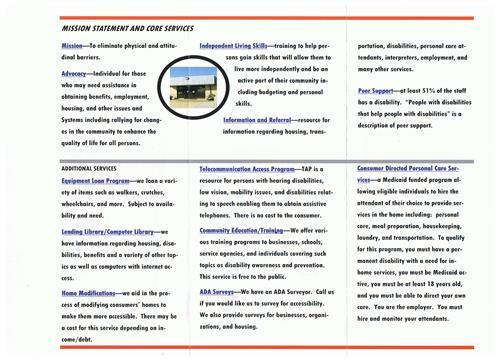 TCIL offers several programs: Hope, CDS (Consumer Directed Services), VA and Private pay services. 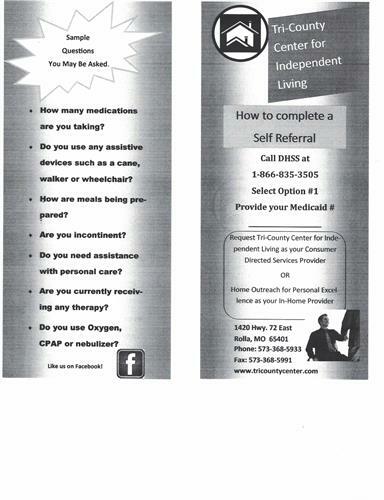 We are also a Resource Center. TCIL offers a T.A.P. 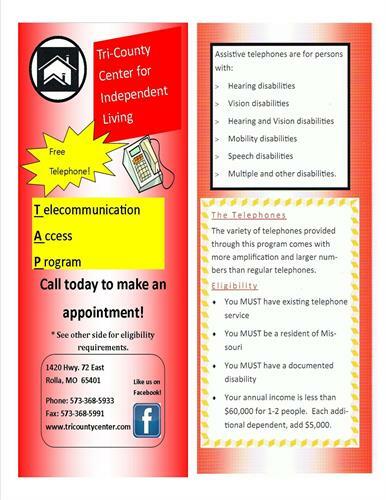 Telephone program for the vision and hearing impaired, an Equipment Loan Progam and an Emergency Medicine Assistance Program. 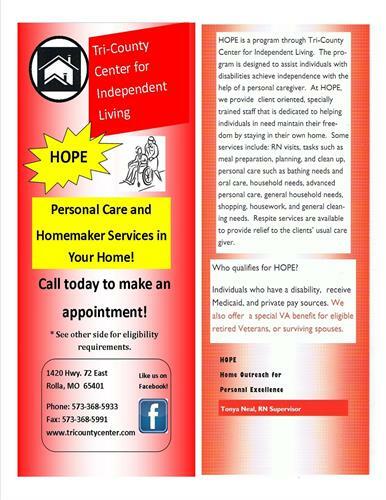 All of our brochures can be found on our Facebook page, under Photos/Albums/Brochures. 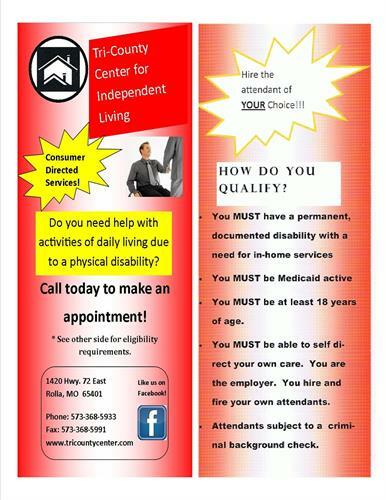 TCIL is here to help our community and surrounding communities in any way we can. 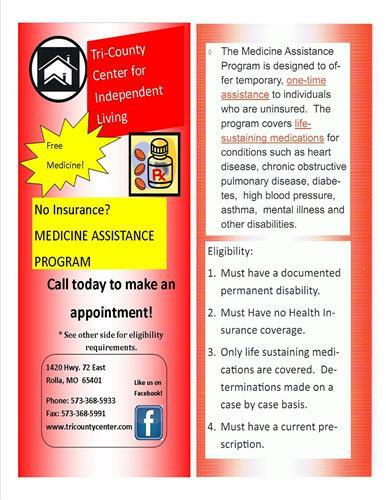 Call us at 573-368-5933!! 1420 Hwy 72 East, Rolla, MO 65401 Salem Avenue Baptist Church is directly across the road from us.